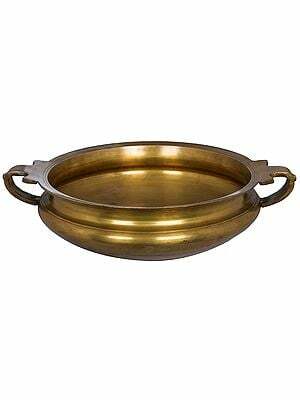 The ceremonial bowl occupies a significant place in Indian ritual. 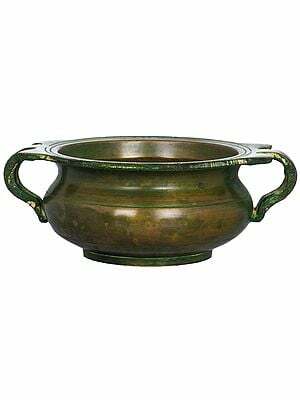 From the singing bowls of Nepal and Tibet, to the urli adornments found in homes of the subcontinent and libation-containing patras of the pooja rooms within, these bowls are designed to aid the ancient rites conducted in homes, temples, and monasteries to this day. Singing bowls constitute the majority of the merchandise in this section. An integral part of the Buddhist lifestyle, these have been handpicked from local artisans in Nepal and Tibet. Exquisite bronzes etched with the images of Buddhist deities, each of which is one of a kind, have been fashioned with considerable skill and precision. As meditational aids, the Buddhist singing bowls in our collection would be a valuable addition to the personal practice of any lover of the Buddha, given their unparalleled aesthetic appeal and the fact that these implements are actually endemic works of art. Next in terms of number are the urlis. These are an essential part of the interior decor of homes and establishments in this part of the world. Wide-mouthed shallow containers, usually supported by intricately carved legs, are filled with clear water and then strewn with the petals of freshly plucked flowers. These are then placed strategically at entrances and corridors where they keep giving off a subtle whiff of nature. The beauty of this set-up also lies in the pleasing gold tones of resplendent brass set off by the natural colours of the flower petals. The urlies in this section come with varying widths and density of adornments - for example, some are sculpted in the shape of a peacock whereas some have popular icons and temple-esque structures attached - so you may choose whichever would go best with your space and tone you would like to set. Finally, a number of ritual containers pepper this collection. 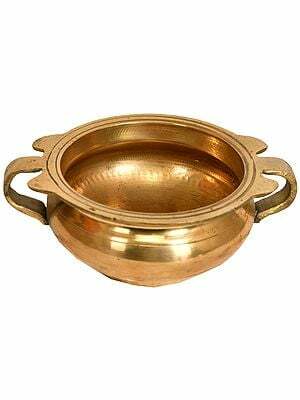 These include rice bowls fashioned by local artisans from the recesses of South India, to ceremonial bowls to serve prasadam in. Some of these are designed for the flow of libations from one rite to another within the same ceremony. 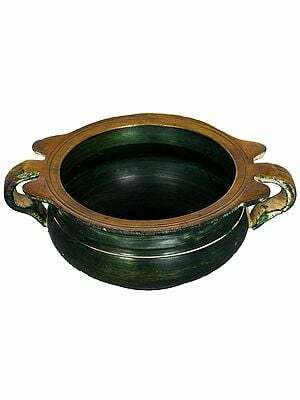 What characterises the Indian ritual bowls in this section are flawless workmanship, high aesthetic appeal, and spiritual functionality that draws form ancient ritual.